GRN ministry has three major components: recording, distribution and promotion. GRN recruits, trains, equips and deploys recordists, researchers and other skilled people from many countries. These recording teams identify priority language groups and then, in consultation with ministry partners, identify appropriate scripts and content and produce high quality audio and audio-visual programs using mother tongues speakers and culturally appropriate styles. We have developed techniques for recording languages which have never been written down and where there are no people in that language group who can read and/or write. Checking is important to ensure accurate communications. We aim to make these programs as widely available as possible. They are available from our 30 plus operations around the world and from our websites as free downloads. Our own outreach teams and many missionaries, evangelists and church planters access and use our materials. International partners make our products available to even wider audiences through the internet, and distribution on micro SD cards and other hard media. We produce special audio play back devices and Apps for mobile phone access. Through personal communications and the media we aim to make the mission of GRN widely known in order to provide opportunity for people to be involved through prayer, financial support and personal involvement as volunteers or staff. Why Storytelling? - Storytelling has always been a most effective way to communicate. Doctrinal statement - What we believe - the GRN statement of faith. 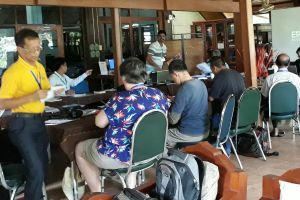 GRN International Coordination Team - Ministry coordinators who provide support and services to the global network in all aspects of GRN's operations such as recordist training, information systems, global studio and member care. GRN International Leadership Team - National Directors or Board members appointed by the GRN International Council work with the International Director to provide global leadership.